The Alpha Magnetic Spectrometer (AMS-02) is a state-of-the-art particle detector that measures particles with energies from hundreds of MeV to a few TeV. AMS-02 was installed onboard the International Space Station (ISS) on May 19, 2011 where it will continue operate for the duration of the station, currently extended to 2024. Through the study of high energy cosmic rays (CR), AMS-02 strives to answer fundamental questions about the Universe. The primary science goals of AMS-02 are: the indirect detection of Dark Matter, a search for antimatter that will address the matter/antimatter asymmetry problem, the detection of new forms of matter such as Strangelets, precision CR measurements that answer questions about the propagation of CRs in the galaxy, and the study of short and long timescale solar activity. ANITA is a balloon-born cosmic-ray neutrino detector designed to search for radio pulses caused by the interactions of ultra-high energy cosmic-ray neutrinos in the Antarctic ice. These neutrinos have energies over 8 times greater in magnitude than what the largest particle accelerators on earth can achieve. A prototype of the ANITA instrument ANITA-LITE was flown in December of 2003 with a full version of the instrument was launched in December 2006. The Vahsen group is investigating high-resolution imaging of ionization in gas detectors. Improvements in this area of instrumentation may one day help us answer some of the big unanswered questions in Physics, such as whether our Galaxy (the Milky Way) resides inside a halo of dark matter particles, and how these dark matter particles are movingThe group has developed a series of novel Time Projection Chambers where ionization is detected with micro-pattern gaseous detectors (MPGDs). These detectors reconstruct the ionization from nuclear recoils in three dimensions. 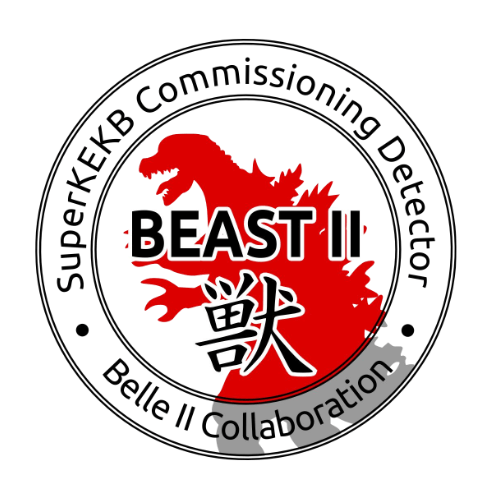 Prototypes have been successfully used for directional detection of fast neutrons as part of the BEAST II project, at KEK Laboratory in Tsukuba, Japan. 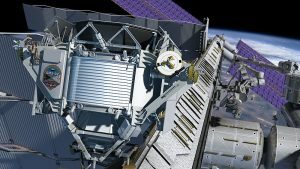 The group is currently building a medium scale directional dark matter detector (as part of D3 project), and working on the design of two larger detectors, CYGNUS HD-10 and CYGNUS. 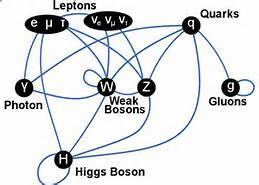 The goal of the BELLE experiment is the observation of CP violation in the decays of the B mesons. The experiment operates at the KEKB accelerator, a high luminosity asymmetric energy e+ e- machine. 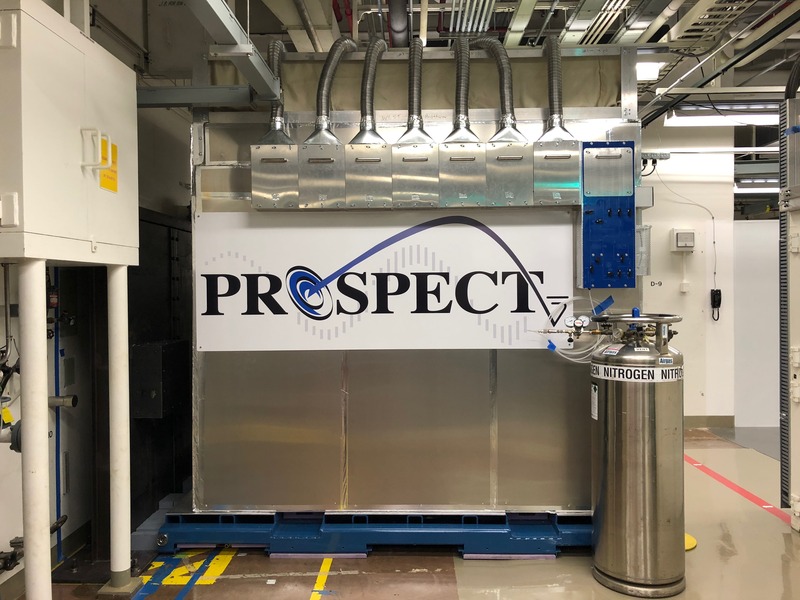 The BES (Beijing Electron Spectrometer ) detector, located at the Bejing Electron Positron Collider (BEPC) at the Institute of High Energy Physics (IHEP) in Beijing, records information from electron positron interactions in the tau-charm energy region from 3 – 5 GeV. This region provides rich and unique opportunities for studies of Tau leptons, D mesons, J/psi, and psi prime events. The nanophysics research group at the University of Hawaii concentrates on synthesis and fundamental studies of nanomaterials. The interests include the utilization of hydrothermal processing for the controlled production of advanced nanocarbons. Carbon nanofoams, graphene quantum dots and three-dimensional graphene scaffolds are studied experimentally and theoretically. Quantum computations are performed on various types of graphene nanoflakes and aromatic geodesic arene networks. Equilibrium structures, energetic stabilities and electronic structures, electric dipole-moments, and other characteristic properties are determined. The studies help to lay the foundation for future applications of nanocarbons in novel electronic, photonic and biomedical devices. DUNE‘s (Deep Underground Neutrino Experiment) mission, once it’s live in the 2020s, is to make sense of neutrinos. Despite their omnipresence, neutrinos, unlike the rest of the subatomic realm, are nearly oblivious of the matter through which they fly. This is unbearably frustrating since neutrinos are hinting at why matter may predominate over antimatter and at the origins of the universe. Hence, more than 1000 scientists are collaborating on DUNE. The plan is to scrutinize neutrinos with two detectors 800 mi apart – one outside of Chicago and the other a mile underground in South Dakota. Since neutrinos are unbelievably shy, the detector fishing for them in South Dakota will be prodigious – a four story soccer field sized cryostat of liquid argon. And even then, it might catch merely ~10 a day! Before building this behemoth, physicists and engineers are working out the quirks with two smaller prototypes. Each is as big as a 2 story house and the largest liquid-argon detector ever built. One uses only liquid argon and the second both liquid and gas argon. How do such detectors work? 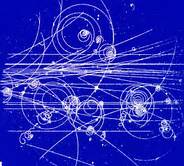 Neutrinos smash into argon and liberate electrons. 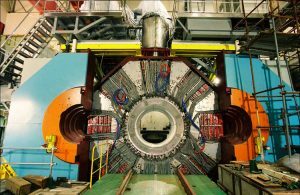 Then, physicists attract/repel the electrons with two oppositely charged wire screens at the edges of the detector and based on the arrival times of the the electrons rewind and infer 3D pictures. Also, there are flashes of light from the liberated electrons, providing another stopwatch – marking the start of the interactions. At the University of Hawaii, we work on hardware and software. 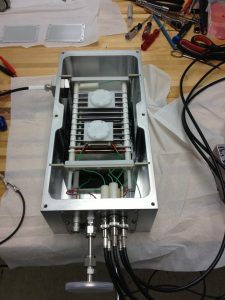 In June, we assembled a motorized thermometer and inserted it into the single phase prototype. This 8m long thermometer moves within the cryostat and monitors the temperature to mK precision. Why measure the temperature? Temperature gradients stir up the argon and alter its purity (absence of other elements). And the way the electrons drift within the detector depends on the purity. Meanwhile, until ProtoDUNE is live, we are running simulations of the expected cascades of particles which often accompany neutrinos (ex. pions), to properly identify them in the real data. 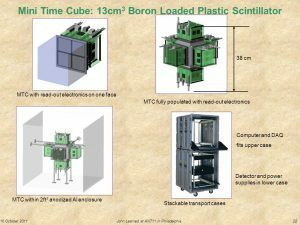 The miniTimeCube (mTC) is a novel compact multipurpose detector of elementary particles, aiming to detect not only neutrinos but also fast/thermal neutrons. Potential applications include the counterproliferation of nuclear materials and the investigation of antineutrino short-baseline effects. 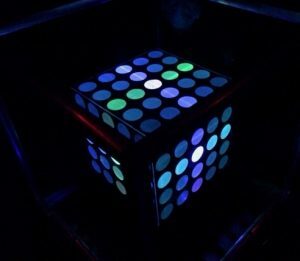 The mTC is a plastic 0.2% 10B-doped scintillator (13 cm)^3 cube surrounded by 24 Micro-Channel Plate (MCP) photon detectors, each with an 8×8 anode totaling 1536 individual channels/pixels viewing the scintillator. It uses custom-made electronics modules which mount on top of the MCPs, making our detector compact and able to both distinguish different types of events and reject noise in real time. The detector is currently deployed and being tested at the National Institute of Standards and Technology Center for Neutron Research nuclear reactor (20 MWth) in Gaithersburg MD. A shield for further tests is being constructed, and calibration and upgrades are ongoing. 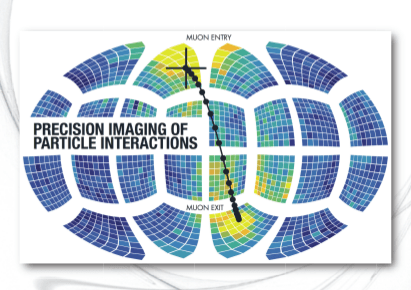 The mTC’s improved spatiotemporal resolution will allow for determination of incident particle directions beyond previous capabilities. Data taking began with KamLAND, a 1000 ton liquid scintillation detector located about 200 m from SuperK, in January 2002. Electron anti-neutrino events are recorded from nuclear power reactors around Japan. In December 2002 KamLAND reported the disappearance of electron anti-neutrinos, consistent with the Large Mixing Angle solution to the solar neutrino problem. KamLAND also reported the first measurements of total earth radioactivity. Continuing studies will search for other rare processes, and make measurements of solar neutrinos. The 50,000 ton water Cherenkov detector buried deep beneath the Japanese alps has produced the first convincing evidence for atmospheric neutrino oscillations and thus mass, and has produced the most cited paper ever in experimental particle physics. The instrument is also used to study solar neutrinos and to search for nucleon decay, supernovae, and a variety of astrophysical neutrinos and unusual sources and particles, such as monopoles, WIMPS, etc. 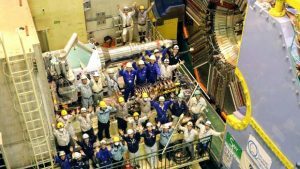 The detector has operated since 1996, will restart operations after a one year hiatus (due to PMT implosion in 11/01) in late 2002, and is expected to run for about another ten years. NuLat is a compact, segmented, fast-timing antineutrino detector. 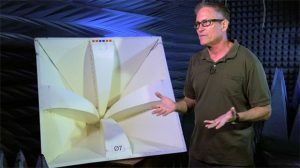 It employs lithiated scintillator, high voltage Hamamatsu photomultiplier tubes, fast timing electronics developed at UH Manoa’s IDL, and a Raghavan Optical Lattice (ROL). The ROL is essential for event reconstruction and energy calibrations as air gaps between the scintillator cubs allow for total internal reflection, channeling light down the principal axes to the PMTs. The PROSPECT group at the University of Hawaii is headed by Associate Professor Jelena Maricic and includes Ian Mitchell as a postdoc. Our work focuses on detector performance and includes modeling detector efficiency and designing calibration sources. 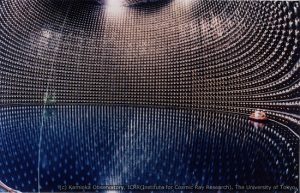 The interests of the Particle Theory Group include neutrino physics, CP violation, heavy quark systems, precision calculations in quantum field theory, supersymmetry, grand unification, implications of extra spatial dimensions, other physics beyond the Standard Model, and implications of particle physics for cosmology and astrophysics.